On Friday, Students Against War kicked off a weekly "Weapons Inspections" tour to raise awareness about the presence of the military-industrial complex at UCSC. Every Friday, a "Weapons Inspections" tour will leave the Bay Tree Bookstore at 12:30 - everyone is welcome to join. 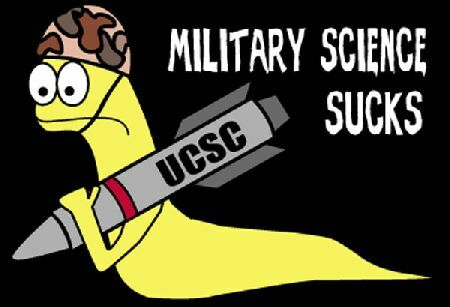 Neither the Weapons Inspections team nor Students Against War had anything to do with the recent vandalism of the Lick Observatory and other UCSC science laboratories. The Weapons Inspections tour is a non-violent, educational action taken by pro-science students who would like to eliminate the use of science for war. We argue that the government over funds the Department of Defense and under funds science for the sake of science. 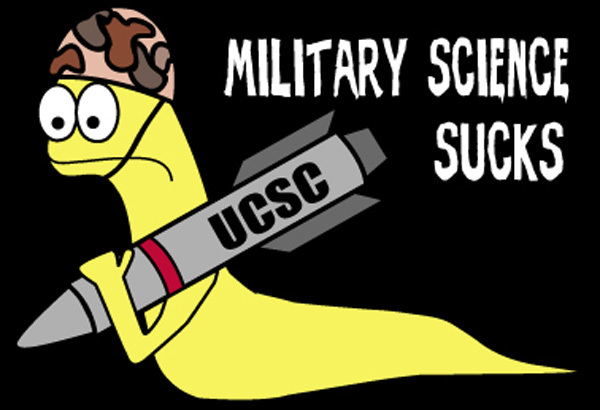 This, in turn, shapes the nature of UCSC science towards the perpetuation of war. Students Against War seeks to sever all ties between militarism and our education. That's awesome! Everyone at Tent U stands in solidarity with your efforts. Reserve a spot for me on the next inspection! Well done. Check out the poster (www.terrormap.org) we developed at NYC Indymedia to assist aspiring weapons inspectors in their work. It's amazing that the majority of the public felt threatened by Iraq when it's our government that is sitting on 10,000 WMDs. Yeah! Weapons inspections rock. Say hi to JJ Garcia Luna and Darrell Long for me while yer up there, kay? wish i could join you.